Maggie. Stealing from the trash. Again. Maggie thinks that the trash is where awesome things go to hide. She has a similar suspicion about the toilet, but is not quite strong enough to confirm this theory. In keeping with these beliefs, she not only tries to break into both but also likes to leave any awesome things she is done playing with inside of them. 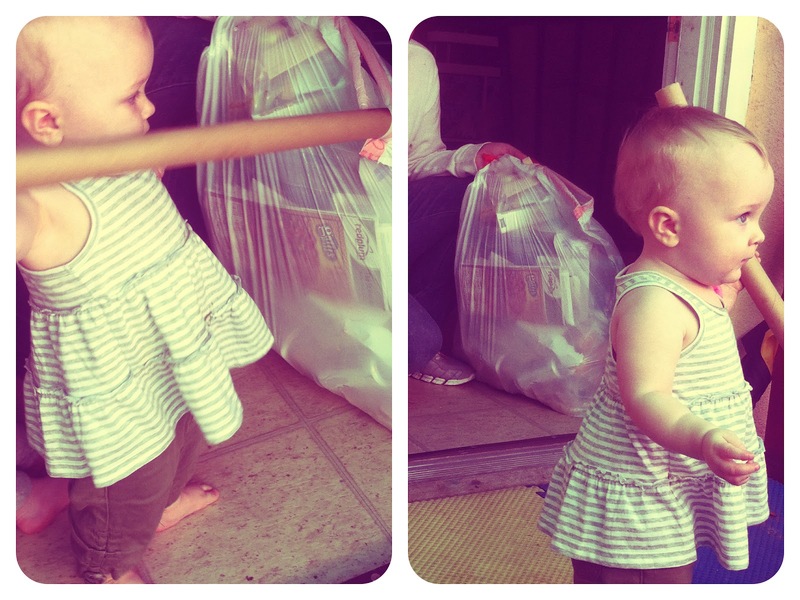 I appreciate her efforts to minimize the clutter around the house. I do. But after finding things like my contact lens case in the bathroom trash can, I am a little nervous what other things I did not find in time. That makes me nervous. 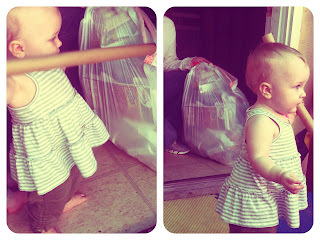 If she was a little older, I'd say a nothing goes in the trash without asking policy might be a good idea. Maybe just work on NOTHING goes in the trash. A little annoying to not have her throw away actual trash, but could save ya. I think you're right. I blame the shape sorter. I feel like that toy has to be at least partially responsible for this obsession.